We are proud to distribute the 750KW Horizontal Axis Wind Turbines from Urban Green Energy (UGE). 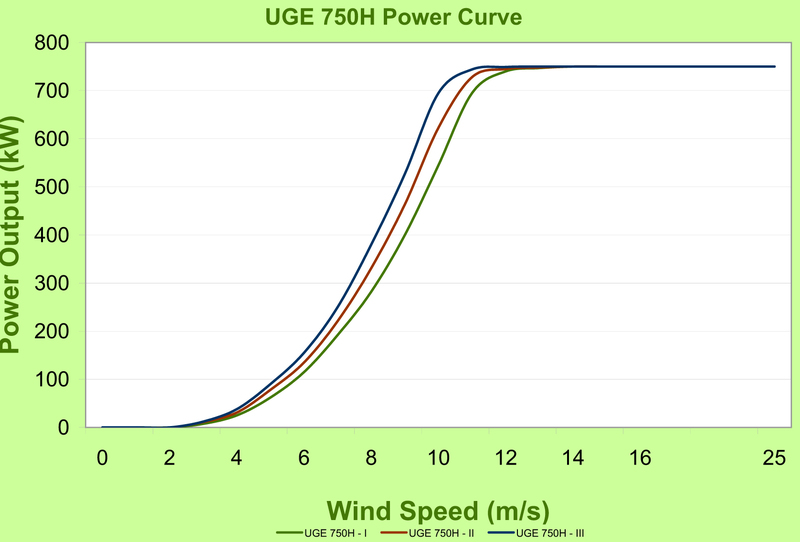 The UGE 750H can be tailored to meet local conditions such as grid characteristics and wind conditions. Various tower heights and blade lengths are available; versatility that makes it adaptable to a wide variety of sites and Class I, II, or III winds. In addition, custom hub heights are available for your particular site. Cooling and heating systems mean that weather is never a concern. In fact, the UGE 750H can withstand temperatures as low as -40°C and as high as 55°C. The UGE 750H is manufactured in ISO9001 and ISO14001 certified factories to assure both quality and sustainability. Quality of our products is considered in everything we do. Our dedication to the wind energy industry ensures we always deliver high quality products and customer service. The UGE 750H utilizes the most advanced technologies to provide excellent performance. The direct-drive design means lower maintenance costs and higher efficiency, resulting in increased average energy yield. 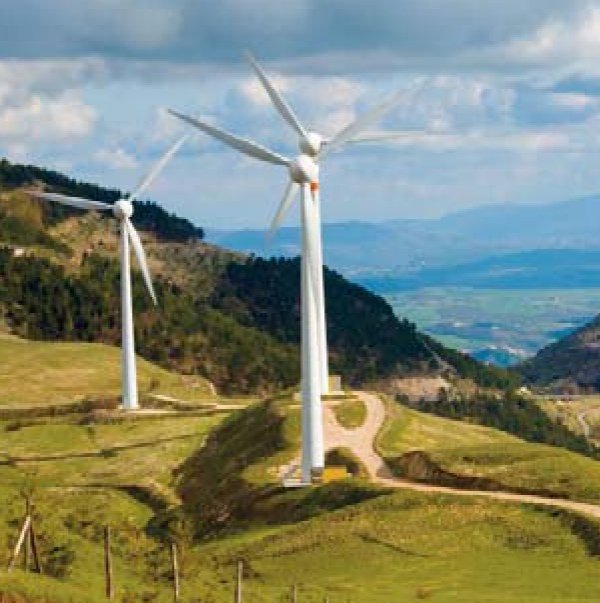 Individual pitch control ensures that the wind turbine will protect itself in severe weather. The core of our business model is the availability of our products. We make every effort to provide a solution for all of our customers. We place a premium on having some of the shortest delivery times in the wind energy industry – something that our skilled manufacturers work hard to support. If you have a narrow time frame, count on UGE to deliver.